It comes as no surprise to learn that smartphone addiction is a very real thing, albeit a pleasant one for most in the 18-24 year old demographic. According a new survey conducted by IDC in conjunction with Facebook, our interaction with each other through our smart phones starts almost as soon as our eyes open in the morning. 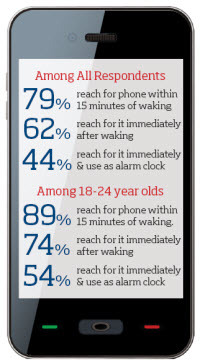 Within the first 15 minutes of waking up 4 out of 5 smartphone owners are checking their phones. The focus of the study was to understand how smartphone owners use their phones over the course of a day and the week, with an emphasis on social and communication applications and services. Smartphones have become woven into the fabric of everyday life. In the USA where the study of 7,400 people was conducted, half of the country's total population use a smartphone and this figure is projected to rise to 67.8% of the population by 2017. That's 222.4 million interconnected people. A sense of being 'connected' was the primary motivation and sentiment experienced by respondents. Talking on the phone (43%), texting/messaging (49%) and direct messaging via Facebook(40%) were the services that drove the highest levels of connectedness across the largest number of people. Friday to Sunday had the highest levels of engagement and the ease of being able to slip a smartphone into one's pocket was also a major factor. The average daily time spent communicating on smartphone was 132 minutes and only 16% of that time was actually spent on phone calls. 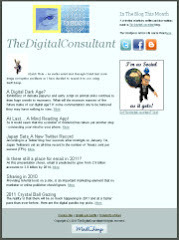 84% spent their time texting, sending and receiving email and engaging through social media. 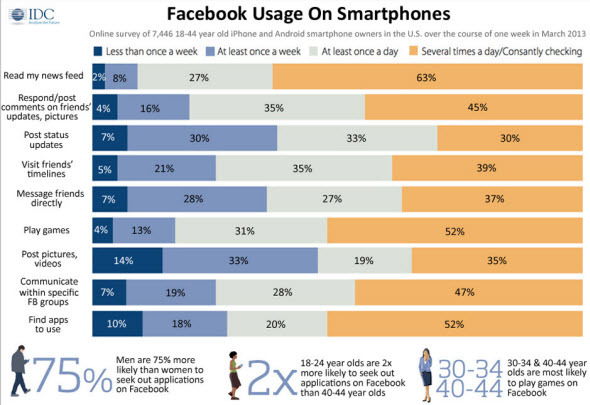 Facebook who co-sponsored the survey will no doubt be heartened to learn that 70% of respondents use Facebook on their phone and of this group, 61% use it each day. 82% read their Facebook news feed while 49% responded or posted comments on friends’ updates. Interestingly, playing games on Facebook was not a dominant activity with only 16% showing this preference, while 7% used Facebook to find apps that interest them. The survey found that Facebook dominates the total time spent on social and communications activities (on a smartphone), making up 1 out of every 4 minutes. One final word on Smartphone addiction; 63% of smartphone owners keep their phone with them for all but an hour of their waking day. And of course, many also use their phone as their alarm clock the next morning!